Summer vacations with the family can yield plenty of warm memories, but logging air miles with little ones can be stressful. 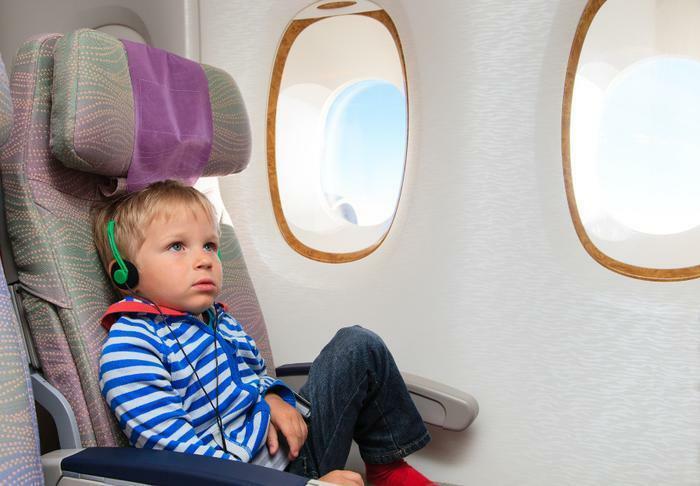 Asking small children to sit in one seat and remain relatively quiet for hours on end is a tall order, but parents can help avoid boredom-induced tantrums and overtired kids with a little pre-flight preparation. In its guide to air travel for new parents, online travel deal site Cheapflights.com names ten useful tips to help families during their next flight. Keep moving. Before boarding, give your child an opportunity to get their wiggles out by walking or crawling. Skip preboarding in order to spend less time sitting on the plane. Check luggage. Check your luggage so your hands will be free to hold your child or their hand. Keep on-board essentials in one easily accessible bag under your seat. Arrive early. Factor in extra time for dealing with tantrums, trips to the bathroom, and other diversions. Buy an extra seat. While children under two can sit in your lap, buying them a seat of their own can make the journey a little more comfortable for both of you. Be over-prepared. Prepare for spills and accidents that could happen during turbulence by packing an extra outfit -- for you and your child. Pack a few surprises. Bring along a few surprise presents for your child to open on the plane. Break them out one at a time during moments when your child is starting to get antsy. Request a bassinet. If you’ll be traveling with a baby, request a bassinet when you book your flight. For toddlers, you can request special gear that can help turn their seat into a bed. Sit near the bathroom. Arrange your seating to allow easy access to the bathroom. Potty-trained youngsters can also use pull-ups on board. Don’t pack messy snacks. Avoid bringing food that will melt or can be smeared. Opt for water over juices -- it’s more hydrating and less sticky. Stay calm. Don’t panic if your child gets a little fussy. Kids will be kids. Just try to keep yourself as calm as possible, and your child will follow your lead.